When you think of a summer getaway, what comes to mind? Is it a quaint bed and breakfast, a wild and water-filled resort or perhaps a relaxing day floating down the river? 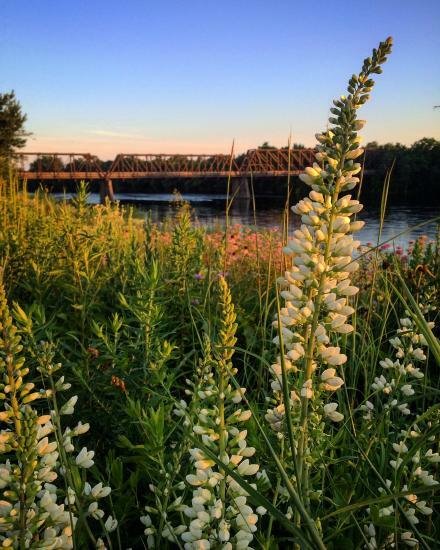 Fortunately for both Eau Claire residents and visitors alike, our city offers an abundance of summer getaway options that are sure to satisfy anyone who’s thinking, “I need a vacation!” Without further ado, here are Eau Claire’s 7(+) Last-Minute Getaways. Located in Eau Claire, Otter Creek Inn is a year-round bed and breakfast that is perfect for a weekend getaway. This versatile inn allows you to have a getaway without ACTUALLY having to get away. With six guest rooms, whirlpool, gas fireplace and a full breakfast, Otter Creek Inn is a home run. For those that want to get out of the city, make sure to check out Shady Grove Resort in Chetek. This resort includes eight-bedroom cabins, fishing and pontoon and boat rentals. Don’t worry about having to pack a car full of amenities for this getaway, though. Shady Grove provides showers, bathrooms, kitchen appliances, cooking equipment, dishes, grills, bedding and much more. 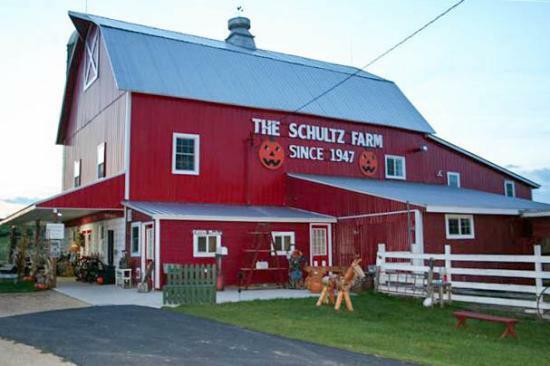 For those that want a day away from the city, make the short travel to Eleva to visit Schultz’s Country Barn, and make sure to bring the kids! While the adults visit the Country Store, the kids will be able to visit the free petting zoo. On Tuesday evenings from 6-8:30 pm, you can add live music to this already fantastic adventure. Experiencing this unique musical occurrence is the perfect way to get the most out of your summer without taking the most from your piggy bank. If you are up for a little bit more of a drive, Turtle Lake&apos;s Canyon Road Inn Bed and Breakfast is the place for you. With different suites available, you are sure to be in for a treat. All come with king size beds, fireplace, whirlpool, access to a lake, trails, canoes and paddleboats, as well as much more. Make sure to check out the different themed suites. Water slides. A lazy river. Go-karts. All this and more make up Eau Claire’s well-known Metropolis Resort. 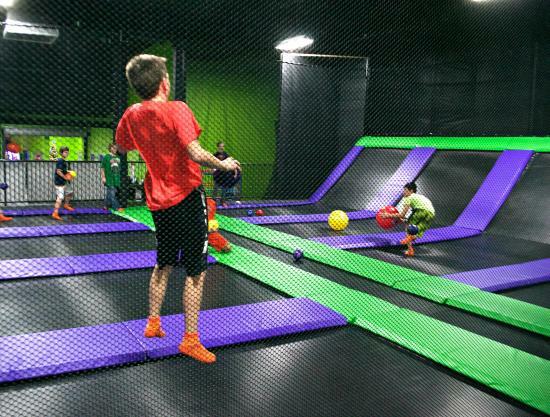 Whether you want to stay in one of the hotel rooms and make it an overnight vacation or simply spend the day with the kids at the new trampoline park, Metropolis has what you need to make your day memorable. Make sure to check out their last-minute getaway special going through August. What better way to spend your day away than floating down the beautiful Chippewa River? A favorite activity among Eau Claire residents of all ages, this watery escape acts as the perfect afternoon activity for those looking for a bit of relaxation. 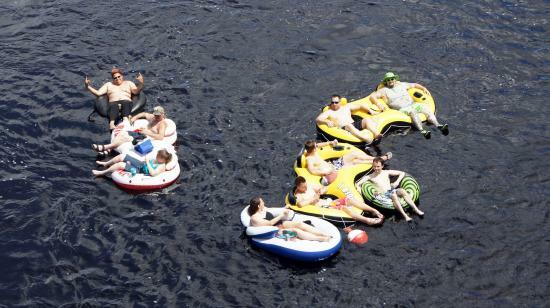 EC Insider tip: Start your floating excursion down at the beautiful Phoenix Park. You can blow up your tubes there for free! Also, don’t forget to stop at Putnam Rock on your way down the river. It is located adjacent to UW-Eau Claire’s lower campus, and it’s a great place to hop off and get some great views of the scenic beauty. Speaking of Phoenix Park, if you are into music, food and happiness, then the Sounds Like Summer Summer Concert Series is a must for your summer getaway. Every Thursday evening, the park livens up with live, local bands and delicious food from all over the city. An EC Insider suggestion? Grab a blanket and some food and have a picnic while the tunes play, then finish the night off right by walking a couple of blocks and grabbing a homemade cone of delicious ice cream from Ramones, the newest (and wildly popular) dessert joint in town. For more awesome last minute getaways (and to read the rest of this blog), pick up the new issue of Queen of the Castle magazine, on shelves in Eau Claire now!